The ‘Pradhan Mantri Suraksha Bima Yojana’ was recently announced by the finance minister Arun Jaitley which is accidental insurance scheme by government of India. The aim of this scheme is to raise the insurance access in India. Here, in this article we have included the key points of this scheme. The age group of 18 to 70 years can avail this scheme. It is necessary to have a bank account of the person to get the benefits of scheme. How to get the scheme? When you fill up the application form, you need to give the name of nominee with relationship. Moreover, the annual premium of this scheme is just 12 Rs. per annum (1 Rs. per month). In addition, the premium will be debited directly from account of the person. There are two types of insurance covers available in the scheme including ‘For accidental death or full disability (2 Lakhs)’ and ‘For partial disability (1 Lakh)’. For accidental death or full disability, 2 lakh Rs. will be provided in this scheme. Likewise, 1 lakh Rs. will be given for partial disability and it will be advantageous if the person is the only earning member. In addition, you need to renew your policy before 1st June every year to continue getting profits of it. You can also choose long term option of 2 or 4 years in the application form. If you select long term policy option then bank will auto-debit the premium of every month from your bank account. The premium of ‘Pradhan Mantri Suraksha Bima Yojana’ will be tax-free. The scheme will be available in all public sector general insurance companies. Interested candidates are requested to submit the application form on or before 1st June 2015. Download Application form of Pradhan Mantri Suraksha Bima Yojana from here. Now you know the basic information about the Pradhan Mantri Suraksha Bima Yojana. Here are some frequently asked questions by the readers. 1. Can I apply for Pradhan Mantri Bima Yojana even after 1st June? No, you have to fill up the application form and submit it on or before 1st June 2015. 2. Can I apply at the age of 55 for Pradhan Mantri Suraksha Bima Yojana? Yes, the candidates in the age 18 to 70 years can apply for this scheme. 3. Do I have to go to bank for paying premium every month? No, your premium will be auto-debited from your bank account through “auto-debit” facility in one installment. 4. What is the nature of PMSBY scheme? The Pradhan Mantri Suraksha Bima Yojana is a one year cover personal accident insurance scheme. It is renewable and you can do so every year. This scheme provides security against death or disability due to accident. 5. Can I get more than one scheme on my another bank account? No, you can’t join more than one scheme in the different or same bank. Every individual is eligible to get the scheme on one saving account only. The cover period is from 1st June 2015 to 31st May 2016. The subscribers are expected to enroll and provide their auto-debit option by 31st May 2015. It is extendable up to 31st August 2015. 7.Can I apply in subsequent years if I fail to join the scheme in the initial year? Yes, on payment of premium through auto-debit. The new eligible candidate in future years can join the scheme as well. 8. Can any individual who leave the scheme rejoin? Yes, the individuals who exit the scheme at any time may re-join the scheme in future years by paying the annual premium, subject to conditions that may be put down. 9. Who would be the master policy holder for Pradhan Mantri Suraksha Bima Yojana? The participating banks will be the master policy holders for this scheme. In addition, a simple and subscriber friendly administration and claim settlement process will be confirmed by the selected insurance company in consultation with the participating bank. 10. In which conditions the accident cover assurance terminates? When the subscriber completes 70 years of age the accident cover terminates. Moreover, in case of closure of account with the bank or inadequate balance availability to keep the insurance in force. Furthermore, government has announced other schemes that are beneficial especially for poor people of India. 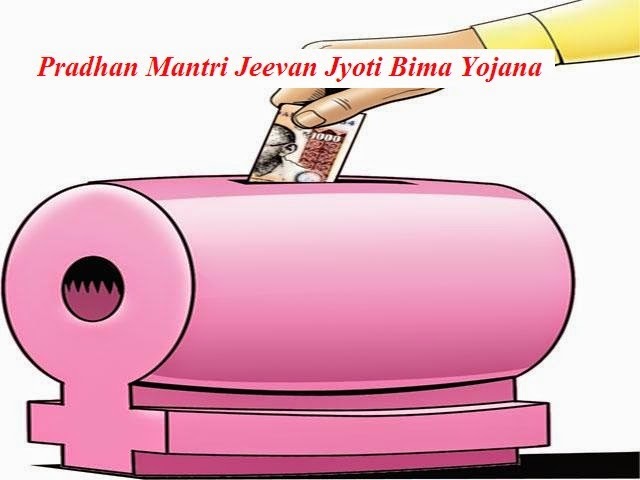 The schemes are Atal Pension Yojana and Pradhan Mantri Jeevan Jyoti Bima Yojana. For any doubts or queries leave a comment below or call at official helpline number 1800-180-1111 / 1800-110-001(toll free).